Commercial cleaning service – for your office cleaning needs and other commercial spaces, we can extend our help to you too. Our cleaning company is more than house cleaning only. House cleaning service – our company specializes in domestic and house cleaning. Regardless of how small or big your house is we will get to it immediately. Do not worry; we will take care of your things and other valuable items. End of tenancy cleaning service – dealing with rented out properties isn’t easy thus, you can simply call us to get your vacated property clean and sparkling in no time. Curtain & upholstery cleaning service – if you are tired and you don’t want to deal with your curtain and upholstery fixtures, we will do it for you. With us, you can maintain the fresh look of your curtains and drapes and the clean and smooth appearance of upholstered items. Window cleaning service – high-rise windows are glamorous but when it comes to cleaning them thoroughly, your best bet is to call our experts and acquire our quality service; this surely won’t cost you too much. Carpet cleaning service – you should know that vacuuming is never enough. You need at least once or twice every month or every six months to maintain the cleanliness of your carpets. We can help you with this. Party help – hosting a party is not easy nevertheless; our company is here to lend a hand. After party help – cleaning the mess after the party is exhausting. Let us do the work for you. You deserve rest. Leave the cleaning to us and you will be surprised. Top Cleaners Westminster has been in the cleaning industry for many years already. 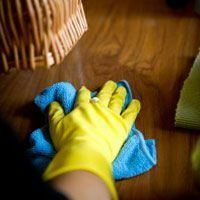 Through those times, we learned that it’s not all about cleaning and earning; it’s also about sharing knowledge on the importance of cleaning and handy techniques how home owners and company workers can maintain the orderliness of their respective areas. With affordable cleaning prices plus quality services, there’s no question why our cleaning company reached this year and still counting. For more information about Top Cleaners Westminster, please give us a call on 020 3909 7649. Our customer service agents will be there to assist you and answer all questions.